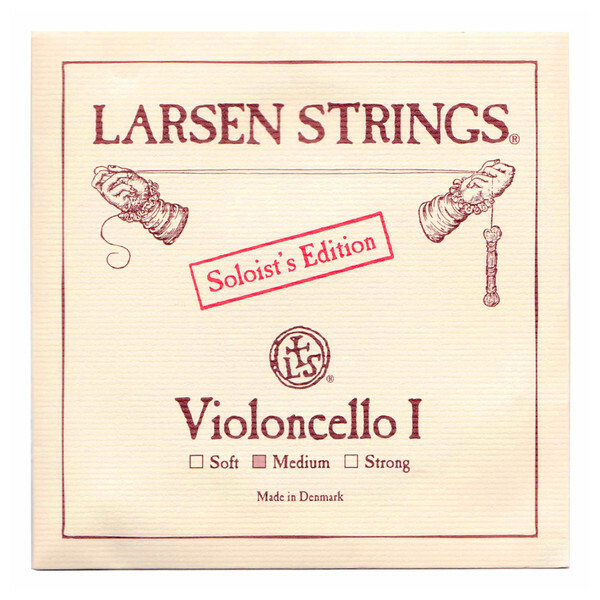 The Larsen L331-132 Soloist Cello G String produces a focused tone for the modern musician. The string's core is made from steel, which produces a direct sound with loud, smooth projection. The string is wound with tungsten for more depth and balanced resonance. The medium gauge tension provides an optimum balance between versatility and playability. This G string is designed for full size cellos and features a ball tailpiece end. The Soloist series of strings is designed for the cellist wanting each note to be articulate and powerful. The strings feature solid steel corers that have a resonant bass, balanced mids and crisp highs. The A and D have a stainless steel winding for a comfortable feel, whilst the G string is wound with tungsten for increased bass response. The strings are ideal for solo musicians who want each passage of their performance to have clarity and balance, regardless of their speed.